This makes so much more sense for many reasons. 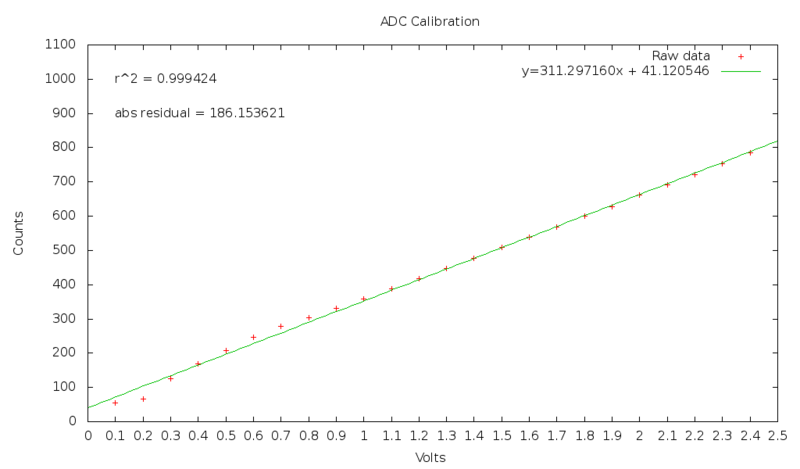 As I pointed out yesterday, there was a consistent, significant distortion under 1v. This is nowhere to be found in the new line. It’s actually a line, and there is only a minuscule difference in counts for the same voltages between graphs. This is acceptable as imperfections in the voltages we fed it as in this respect our power supply is… abstract. 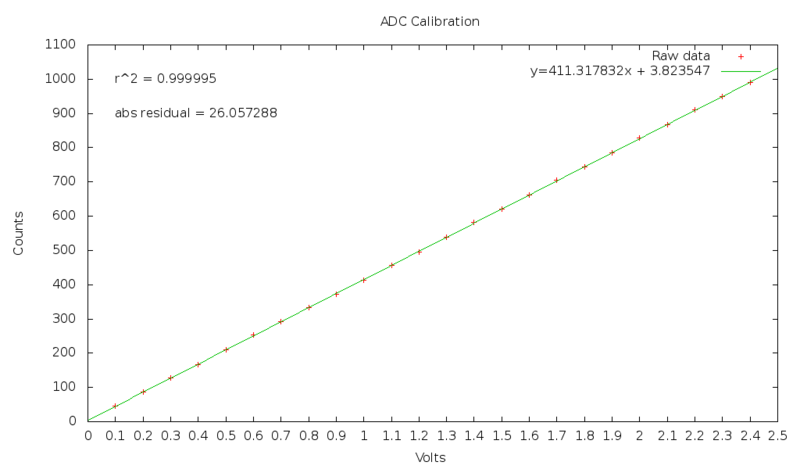 This line also goes up to 1024 at 2.5v, which is what it should actually do as it’s the maximum count at the maximum voltage. What I find amazing is how huge the effect of electromagnetic interference is! We got completely different information when using the breadboard, and even its imperfections were consistent! Professor Atkins revealed that she had let us spend hours on this fruitless calibration of electromagnetic interference so that we would thoroughly learn the importance of electromagnetically clean wiring. Lesson learned! I am amazed by how much it helps to have a pad of paper next to me while reading Great Expectations for Brit Lit. Smoker or Hunter: try to attack the last one to go over a one-way ledge, the others probably won’t be able to stage a rescue. You are not so much a team of four as two teams of two. Never let someone go off alone. Stick together. The two in front crouch, the two in back shoot over their heads. Talk. Coordinate. As Infected, wait for someone to stray, or plan an overwhelming Boomer, then Hunters and Smoker ambush. As Tank, it is very bad for you in the open. A survivor running backwards can outrun a Tank, provided the Survivor doesn’t run into anything. As Tank, bash physics objects around. Movable objects have a red outline when you look at them. Hitting a Survivor with one is devastating. I’m halfheartedly working on Chemistry studying. I hope Monday will prove to be productive.